Our product range includes a wide range of agricultural conveyor chain. We are the leading manufacturer, supplier and exporters of Agricultural Conveyor Chain. 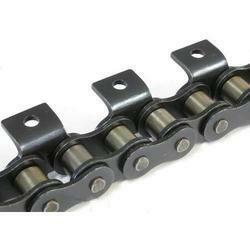 This chain is manufactured with the help of finest quality raw material and modular technology at our vendors end. These fertilizer handling machine chains are quite suitable for the uplifting of heavy machinery and sacks full of fertilizers, in fertilizing industries. This is an ideal solution for mechanical handling problems. Looking for Agricultural Conveyor Chain ?